By this time we have all heard the buzz surrounding Ultra Music Festival’s new location in Miami for its 21st edition this March 29 – 31. But what does the relocation to Virginia Key mean for the world-renowned festival and its guests? We’ve dug into eight significant changes to look forward to this year, and we hope you’re as excited as we are for what’s in store. The ultimate paradise playground awaits! New & improved, historic venue. Virginia Key Beach Park and Miami Marine Stadium Flex Park are a historic location, set in Florida’s Virginia Key. Just around the corner from Bayfront Park where the mega fest has called home for the last several years, this space means Ultra can evolve and expand in a variety of ways. Fans will experience in-tandem staging at both the historic Virginia Key Beach Park and Miami Marine Stadium Flex Park, creating a single unique space. Along with this new home comes great environmental consideration, and Ultra is proud to be entrusted with such significant responsibility in throwing their annual event. The incredible view of this new island venue doesn’t hurt either, as we’re sure you could guess. Larger capacity & more space. In moving spots to Virginia Key, Ultra’s capacity and festival grounds are growing into expansion. More space ultimately allows for a more enjoyable experience as there will be less crowding and room for more surprises. Cheers to a more comfortable festival atmosphere for all! Longer hours & no noise restrictions. The new venue permits an extended curfew, so Ultra will now operate until 2:00 AM. A first for Ultra Miami, this means an extra two hours of music, dance, and party time. Resulting in a larger lineup and extended sets, this very exciting change allows for much more free reign of the grounds and musical capacity. Even bigger Phase 1 Lineup than ever before. The 21st installation of Ultra Miami includes a MASSIVE – and we mean massive – phase one lineup unveil. This year’s brand new immersive experience includes headlining sets from the best of the best in electronic music. Mainstays like Armin van Buuren, Alesso, Carl Cox, The Chainsmokers, David Guetta, Martin Garrix, Marshmello, REZZ, Tiësto, Zedd, Zeds Dead & more are of course in tow, beside live headliners like deadmau5 (to debut his cube 3.0 show,) Galantis, GRiZ, Illenium, Louis The Child, and ODESZA. Combined with the monstrosity of RESISTANCE Island (see below,) 2019 is shaping up to hold one of the biggest & best rosters yet. Huge exclusive sets. You may have noticed on the lineup that there are artists marked *exclusive* sets. What does this mean? It means these artists will NOT be performing anywhere else during Miami Music Week. Unlike past years, if you want to catch them this year during MMW, you’ll have to see them at the one and only Ultra Music Festival. Instead of spreading out during music week, these artists will have very special and unique performances only at the glorious stages set inside Ultra. Rare and debut live performances. Deadmau5’s Cube 3.0 Worldwide Debut is a HUGE addition to UMF 2019. Taking place at the brand new Live Arena, Cube 3.0 will be a multi-dimensional stage concept. The iconic DJ booth centerpiece is yet another result of the creative genius that lives inside deadmau5, and we can’t wait to experience it live. Another spectacular performance to look forward to is the incredible B3B set by techno titans Dubfire, Nicole Moudaber, and Paco Osuna. Definitely add this rare return to your don’t miss list, and check the full lineup for more one of a kind exclusives. RESISTANCE Island. The RESISTANCE returns – this year with a massive lineup, three incredible stage designs, and extended hours. RESISTANCE Island will make its grand debut, headed by dance music legend, the one and only Carl Cox. The brand new immersive experience will feature expanded musical performances, updated stages and production, and our favorite – EXTENDED HOURS! For the first time in RESISTANCE history, the Carl Cox MegaStructure will be taking over all three days at Ultra. 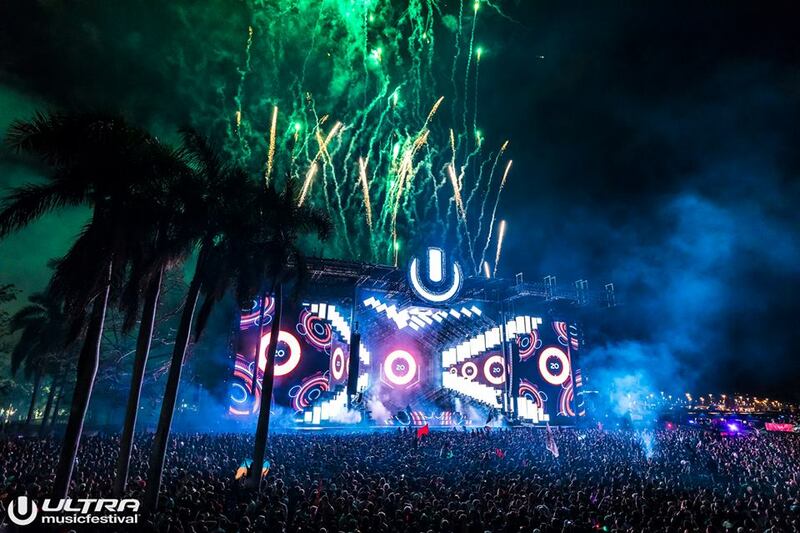 RESISTANCE Island and its ultra-impressive lineup will be a huge focal point of UMF 2019. With exclusive B2B sets, surprise guests, and massive headliners, this is one of the most highly-anticipated aspects to come. Coordinated transportation options. For your convenience and to assist in reducing the local impact of carbon emissions and traffic, Ultra is offering coordinated transportation options for guests this year. Shuttle hubs will be located throughout the Greater Miami area to caravan guests to and from the event. The best part? It is entirely FREE. As long as you have a valid festival wristband, you can sit back, relax, and let UMF take care of your transport. The hubs are strategically located based on mass transit and major clusters of hotels to make this process as seamless as possible. There will be NO PARKING at the venue, so be sure to scope out where you and your squad can hop on board for the ride. Tickets will soon be gone! For more information and to purchase passes, visit ultramusicfestival.com. VIP and tables can be booked at ultramusicfestival.com/tables.